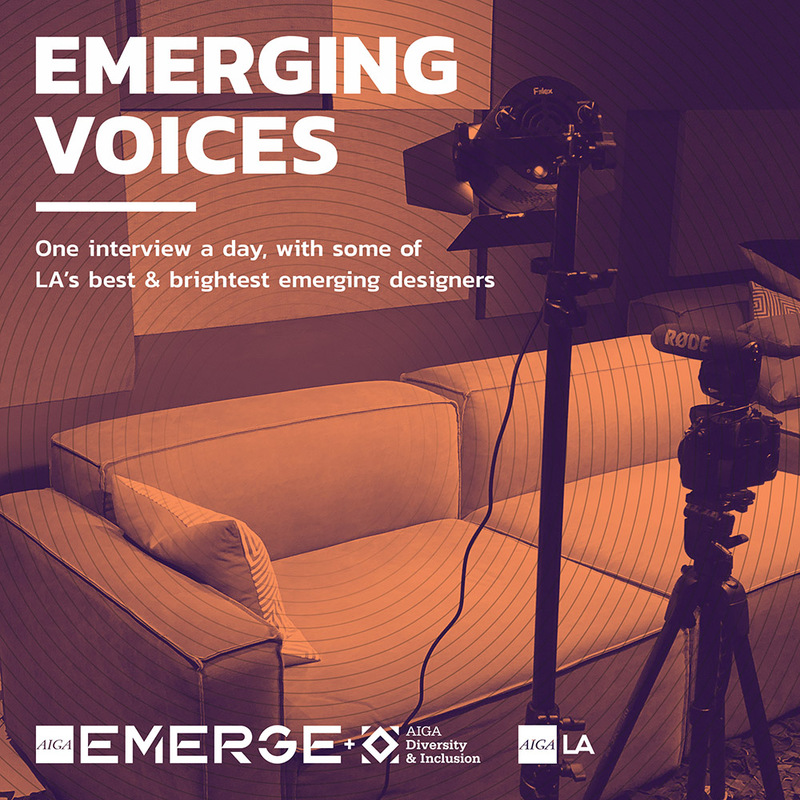 As part of EMERGE, AIGA LA is interviewing some of the brightest new design stars in the Los Angeles area. We asked them everything–from what their biggest challenges have been so far to the elusive notion of work-life balance. Catch their candid interviews on Instagram during EMERGE Awareness Week. Be sure to follow along and join the discussion by following @AIGALosAngeles on social media and #AIGAemerge.